This portrayal of love that saw Kundan's selfless sacrifice in Raanjhanaa, has risen to insurmountable heights through the saga of compassion woven around Varun and Pakhi....the intense love story that has hit the "right areas".The impressive trend of lucidity that has been the key feature of Bollywood in the 21st Century has reinforced a very profound aspect of cinematography....keep it simple, it makes a deep and wide-spread impact! When you’re perfectly CLEAR with your mode and subject of illustration, why would you invest in unnecessary details like gaudy sets or illustrious dialogues? Motwane Sir, Roger that! 1. The backbone of the movie, without a doubt has been assigned to the juxtaposition of “self-less and selfish love”; however it does throw light on the enlightenment of Indian women post independence. They would hardly restrict themselves to the intrinsic house-hold, but invest appreciably in nurturing talent and endowment. Furthermore, they didn't hold back in expression…. 2. The movie magnificently highlights the aftermath of independence; that overwrought it brought about and swept away the essence & ascendancy of the Zamindaari pratha in major parts of India. People would debate on the positives of this metamorphosis, but from the look of it, seemed like a body blow. I might be biased to some extent, but Barun Chandra fitted into the perfectly onto the Zamindaari groove. His body-language coupled with the gravity of his vocal tone resounded with authority. 3. A story-line that interprets transformation in either halves must be equipped with an inherent trait of an undaunted central thought; yes the sequence of events didn't drift away from the main context. 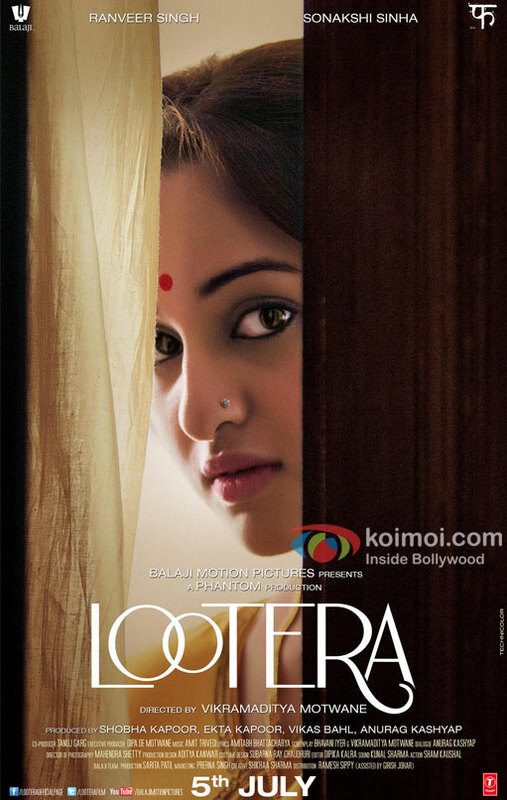 Anurag Kashyap impressed again with the free flowing dialogues and expressions. 4. There’s a subtle difference between absolute fantasy and "the depiction of fantasy"; I have seen directors getting carried away with the later. 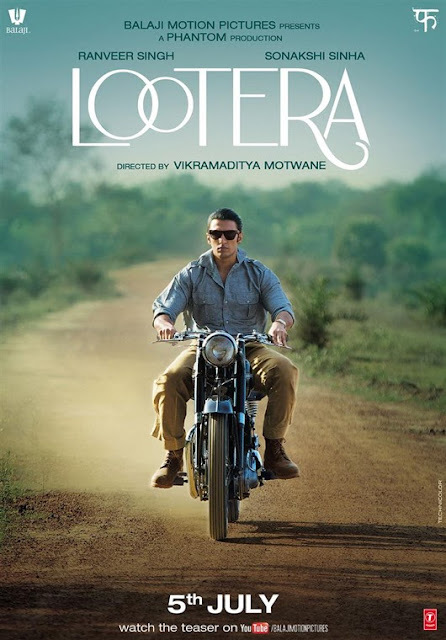 The uniqueness of Lootera lies in the very aspect that it bridges the gap and enumerates reality with the tinge of reverie; it depicts the tragedy associated with mundane pain and anguish, yet leaves a "leaf of hope behind"….the glimmer of hope that truly unravels the surge of emotions. 5. The movie also addresses the indeterminate angle of the human psychology; it forces you to think again…and judge the central character’s dilemma in choosing his line of action. And the fact that he fails in this “battle", magnifies the fundamental scoop of the marvelous story YET again. 6. As a mundane being, you got to define an inspiration to persist, rather, a reason to survive….it's an inspiration that rules in your realm of dreams, yet it does enough to bring you back to the realm of hard-core & ruthless reality, a reality that never gives you a second opportunity to make a comeback. 7. I did observe a number of viewers discussing on "O Henry’s influence" in controlling the sequence of events…well, I would term it as a "motivation". When inspirations rule the world, I don’t mind this at all…in-fact I feel that Bollywood should look up to renowned novelists and adopt more of such illustrative stimulation's in future. 8.The background score….oh my awesomeness….it lingers on and on, perfectly in sync with the context of the movie; it’s a signature "Amit Trivedi dazzler." The natural elegance as photographed in due course of the migration to Dalhousie during the later half of the movie, was simply breathtaking! 9. And last but not the least, speaking of whether the characters did justice to their assigned roll? Well, in the context of such a strong script and the amazing “artistic” touch, it's inconsequential really! I thought that Barun Chanda’s performance set the tone of the movie; & I’m SO glad that Ranveer really managed to carry the tempo from there on! He should however,consider rehearsing and improving his “dialogue throwing techniques”; his voice is unbelievable mismatch in comparison to the stout build! Sonakshi, too, showed sparks in bits and pieces. OVERALL: It’s a 8/10 And a MUST watch; the only recommendation to the viewers: do NOT judge the movie through the pace that it unraveled in the second half; this is EXACTLY where the easy-going Bhavani Iyer and Mr Motwane have excelled to the fullest. It’s plain, magical and a-sit-back-relax-and-enjoy kind of an experience! I was completely engrossed in the flow, the notes did create a permanent impact..! INDEED!